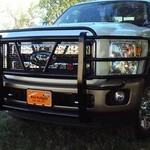 This is a Smash Hit Bumper Guard, made by the Perry Company in Waco, Tx. This was an add on that my Dad put on his 1950 Chevy Pickup. 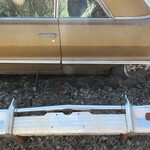 The ends were since bent out to fit on a 1966, 1978 and 1983, I don't believe the middle supports were ever messed with. 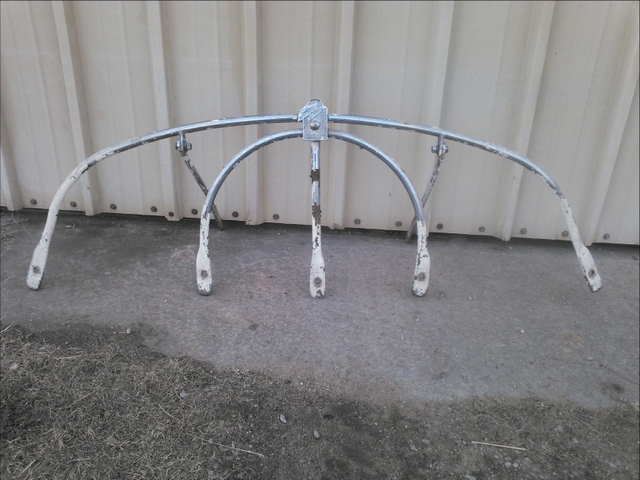 It also has the two support brackets that attach to the frame to make it sturdy. 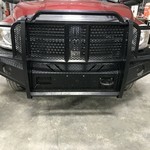 The bumper guard is good solid steel, and has persuaded many of bulls throughout the years. Some people like the the looks of them and some don't, one thing for sure they are becoming harder to find. Call 785-658-3687 and leave message or contact me through this site, I will get back to you. Could ship after payment is received and cleared. Thanks for Looking! 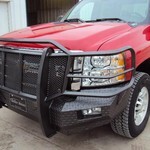 GRILL GUARDS, FRONT END REPLACEMENTS, & REAR BUMPERS!